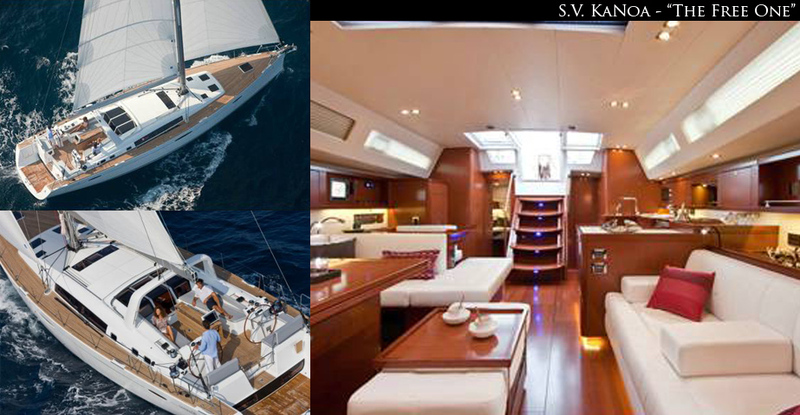 The Ocean passage has never been as smooth and care free as with the modern and exciting newly designed, 2011 58 foot S.V. KaNoa. KaNoa in Hawaiian means “The Free One” and your escape will define why this name is apropos for this solid and impressive yacht. Displacing over 45,000 lbs the yacht is a true heavy weight performer moving more ocean than ocean moves it. The modern Italian designed interior features four entertainment spaces, “the salon” with the latest in wifi internet to sattelite and bose entertainment technologies, the “forward deck”, big enough for a massage table, or dancing, “the cockpit” where 10 can easily be seated for dining and “the beach” a swim platform big enough to lounge and enjoy all ocean activities from. 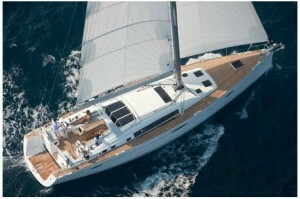 The yacht has three private cabins, a master and two guest suites each with their own private showers and heads. The well appointed galley ensures only the finest of dining experiences. The yacht is fully equipped with USCG Safety Equipment and an inflatable tender “The Humu Humu” to get you on and off private beaches in Hawaii safely and in style. 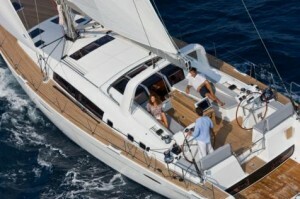 The yacht has its own snorkel and professional fishing equipment. 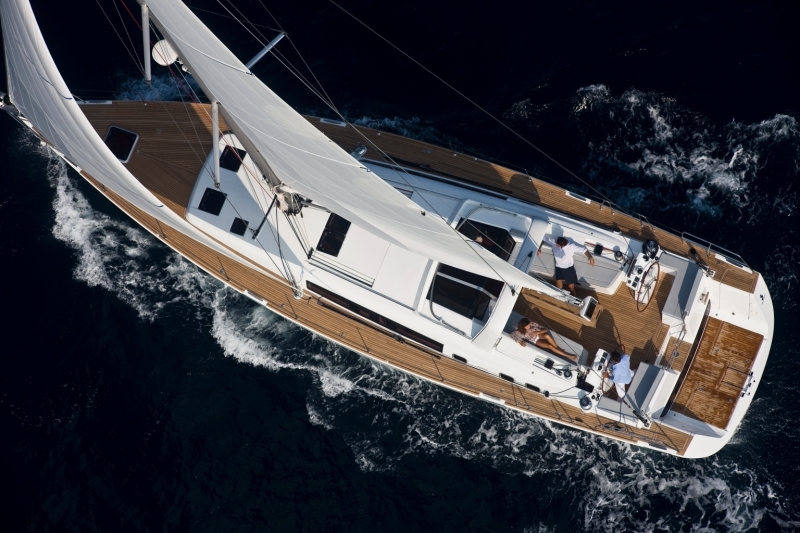 This yacht represents the latest and greatest in sailing design, function an performance. Welcome aboard S.V. KaNoa, and get ready to join “the free one”. To view the full brochure PDF, click here.